The first time you see a Nemoi wind turbine, you may not realize it’s a turbine at all. A white and silver metallic structure about the size of a garden shrub, Nemoi has three vertical blades that spin carousel-like around a central axis. The spinning is constant, but completely silent, and it doesn’t look fast enough to be generating much energy. But appearances can be deceiving. 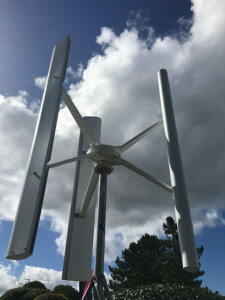 According to its creator, Semtive Energy CEO Ignacio Juarez, a Nemoi turbine can power a four-person household at wind speeds of just 10-13 miles per hour. It’s also made of 95 percent recyclable aluminum, can be quickly assembled by one person, and is locally manufactured. Nemoi was created by energy startup Semtive, and with great timing—the International Energy Agency’s 2016 medium-term forecast for renewables predicts that by 2021, 60 percent of the world’s energy will come from renewables, and between now and then, wind turbines will go up at a rate of 2.5 every hour. To really make renewables widespread, though, they need to be more accessible. This has already started to happen with solar, as evidenced by the panels you may see on your neighbors’ roofs. 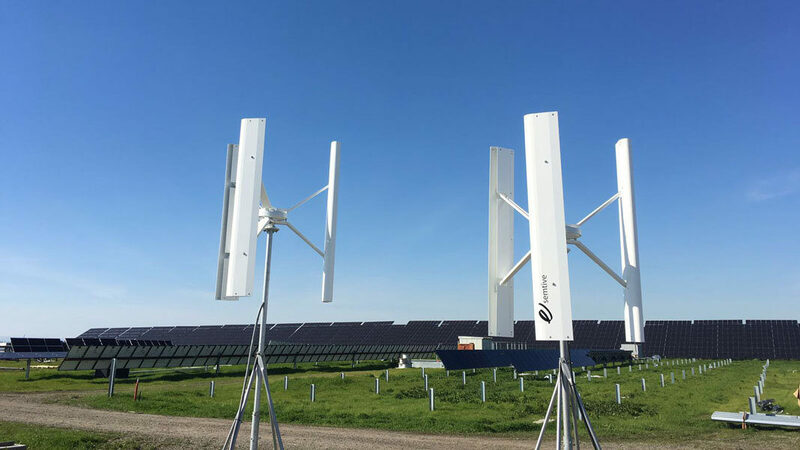 Wind is just as abundant as sunlight, but it’s been harder to adopt on a local scale, and that’s part of the problem Nemoi’s creators are trying to solve. During a visit to Semtive’s office in Mountain View, Juarez told me about his motivation for building Nemoi, and his vision of decentralized, user-generated clean energy. “We started wondering why there isn’t a wind turbine on every rooftop, and we started thinking about how to solve the problems with existing turbines,” he said. He explained that conventional turbines require high wind speeds, plus they’re big, heavy, and hard to install and maintain. GE’s 1.5 MW model, for example, has blades 116 feet long, making the spinning blades’ diameter wider than the wingspan of a Boeing 747. You can’t just plop one of those down in the middle of your typical town or city. That’s why we see wind farms extending across sprawling fields in the middle of nowhere. And while those massive horizontal-axis turbines are highly efficient, the energy they’re generating still has to be transported back to end users. And that’s what Nemoi turbines do. Upon being set up and plugged in, they immediately start to feed the grid, and can be operated off-grid as well. The goal is for each turbine to produce the same amount of energy its owner is using, or more. “It’s the whole idea of houses becoming smarter, people generating what they need in their own homes,” Juarez said. The turbines we’re used to seeing have horizontal axes; like windmills, their blades spin between parallel and perpendicular to the ground. As noted above, these turbines have gotten huge, because bigger means better when it comes to efficiency. Despite the energy that’s lost in transport and conversion, large turbines are still worth our while. But there’s a limit to how big horizontal-axis turbines can get, and once we reach that limit, we’ll need a different solution. Dr. Maurizio Collu of Cranfield University’s Offshore Renewable Energy Center thinks vertical axis wind turbines (VAWTs) are the answer. Since their rotation doesn’t take up as much space as horizontal-axis turbines, he adds, vertical turbines can be placed closer to each other in a wind farm, meaning more electricity can be generated in a given area. Add up more turbines per given square area and less wind needed to make them keep turning, and what you get is cheaper electricity. With Nemoi, Semtive has taken this concept and made it available to smaller-scale operations. “We see it as a step towards democratizing energy,” Juarez said. Juarez and Garcia Enciso are from Argentina, and in keeping with their go-local mentality, Nemoi’s first big customer was the government of Buenos Aires. 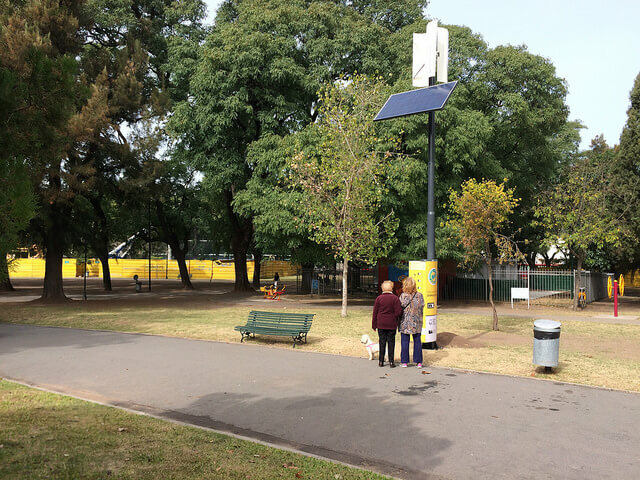 The city installed solar and wind-powered charging docks in subway stations, public parks, and other municipal areas, and attached panels and turbines to streetlights. Since then, Semtive has expanded its customer base to include distributors, utility companies, and end-users. 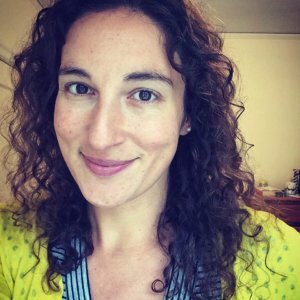 “Customers at the end-user level are using wind to complement solar or as an alternative to installing solar panels,” Juarez said. The turbines have an MSRP of $4,695. It’s not a small sum for most homeowners, but government subsidies and incentive programs are becoming more widespread as states and cities encourage their residents to go green. At an average cost to the end user of five cents per kilowatt hour, Juarez estimates Nemoi owners get a full return on their investment as soon as two years into ownership—if they received a rebate and they live in a windy area—or seven years at the longest, for no rebate and low-wind areas. He estimated the cost of installing solar panels for equivalent energy generation to be around $20,000. Given our growing energy needs, the benefits of vertical-axis turbine technology, and the cost and environmentalism-fueled movement toward renewables, Semtive has its work cut out for it. Despite four years and countless iterations getting Nemoi’s design just right, though, Juarez and Garcia Enciso are aware that their growing pains aren’t over quite yet. Government regulations and energy policies currently pose some major limitations. In Argentina, for example, end users are not allowed to feed the grid yet. The shift in cost and profit structures that will come with the decentralized energy made possible by technologies like Semtive’s will be tough to navigate for utilities, governments, and entrepreneurs alike. In the end, though, it’s hard to go wrong with energy sources that are both cheap and green.